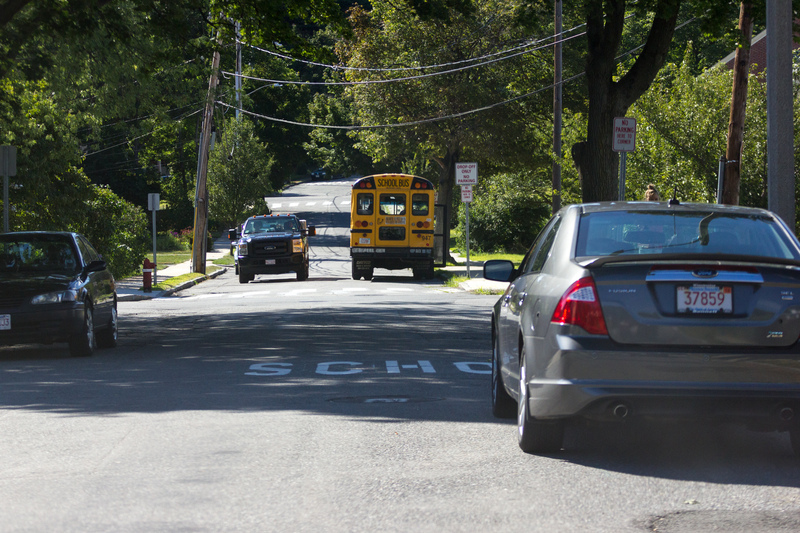 A bus sits outside the Bishop Elementary School on Columbia Road after dropping off kids from a day at summer camp. 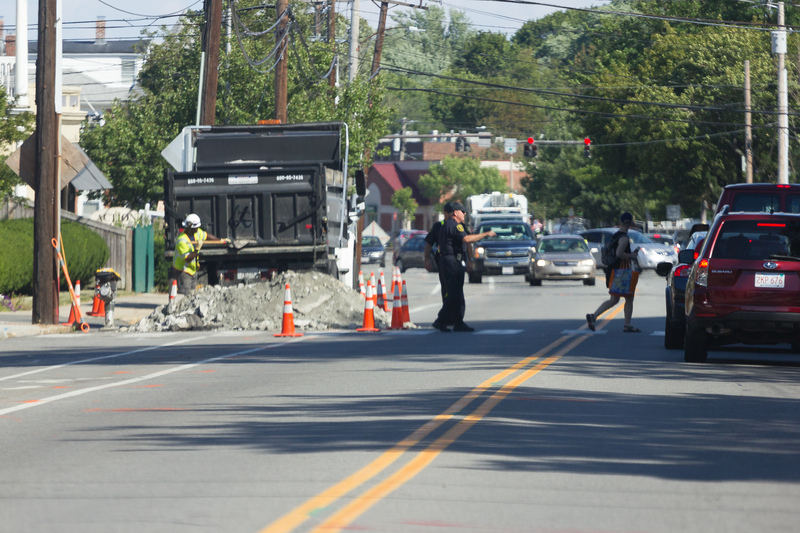 A police officer aids a pedestrian in crossing Massachusetts Avenue near a road work site. 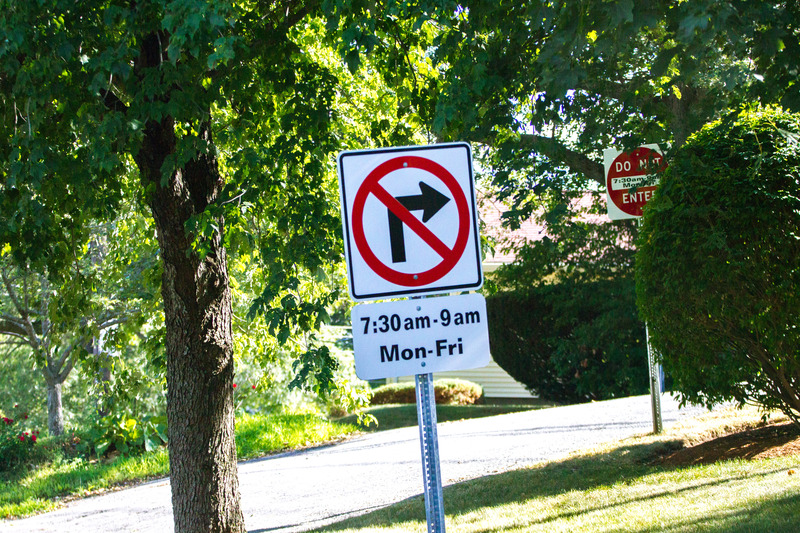 No right turns onto Mountain Avenue during school drop off times. 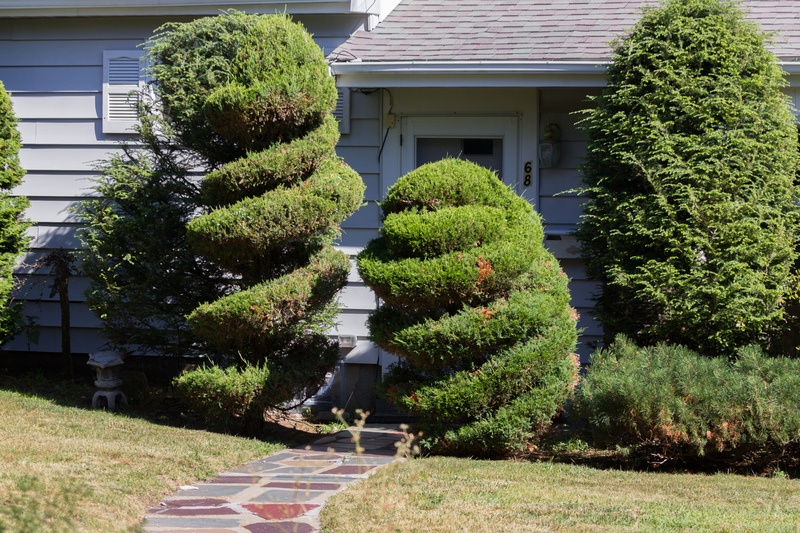 Topiaries flank the entrance of a Dickson Avenue residence. 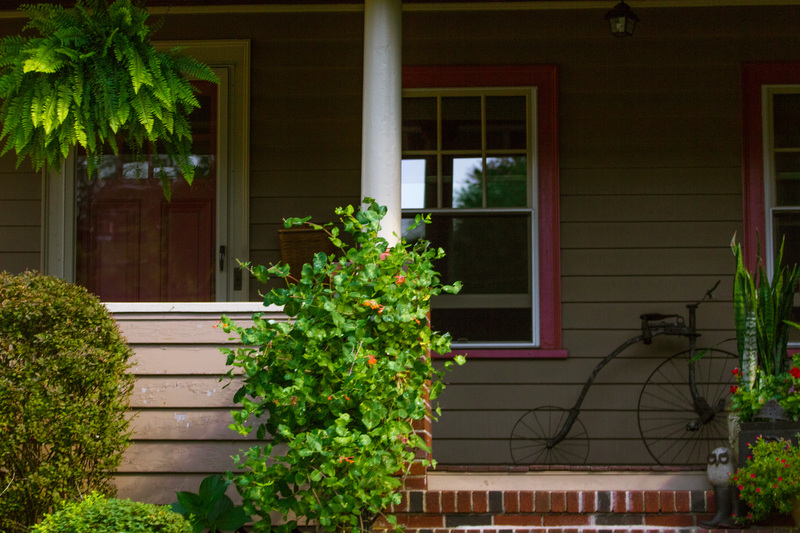 An “ordinary” bicycle decoration on the front porch of a Pine Ridge Road home. 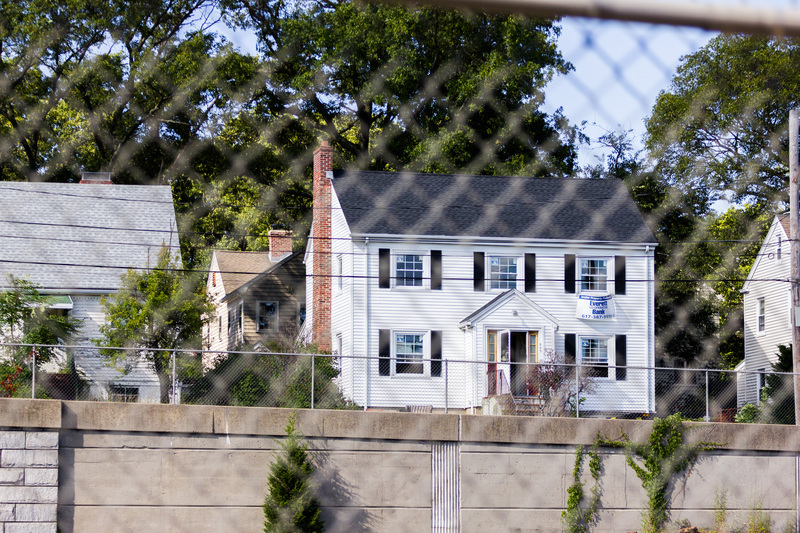 A house on the Concord Turnpike sporting new windows and a banner showing how they came about. 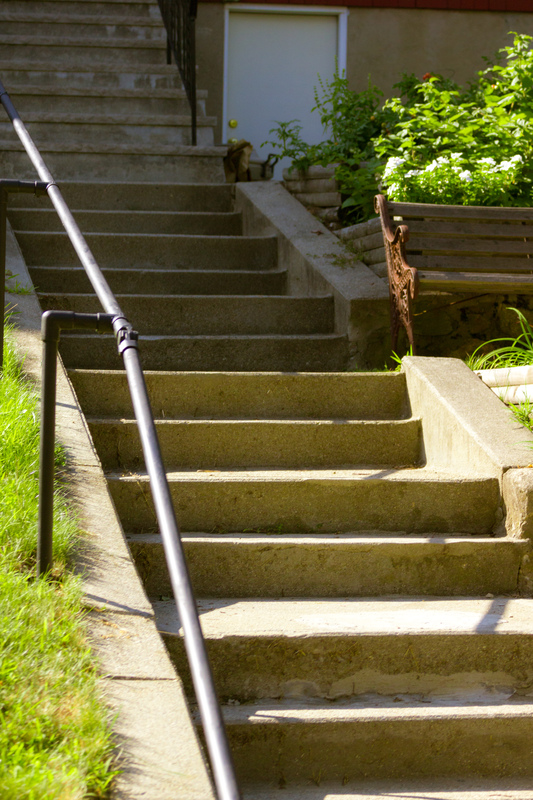 The front steps of a Coolidge Road home.